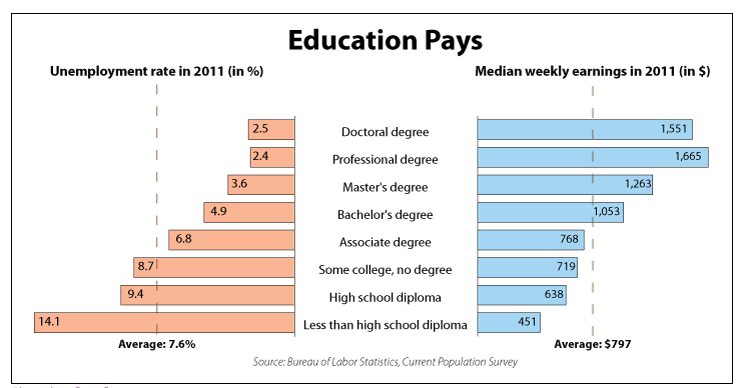 A comparison of weekly pay by educational attainment illustrates that education pays. Source: Bureau of Labor Statistics, Current Population Survey. This entry was posted in college freshmen, higher education, Value and tagged higher ed, value of a college education. Bookmark the permalink.